100% U.S.A made, from the wool to the super washing! After a wash and a block it blooms into what I can only really describe as a sturdy velvet feeling fabric. 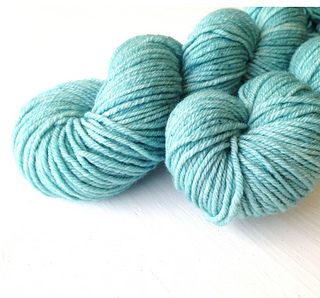 Amazing stitch definition-- this is totally a sweater yarn.